Four Star Computer deals in all kind of new and used computers and accessories. 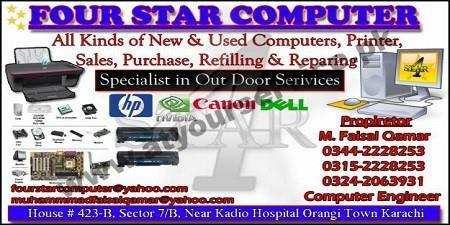 Four Star Computer is located in Sector 7B, Orangi Town, Karachi. It deals in all kind of new and used computers and accessories.